The last few days have been memorable, for I have followed a path, left a trail and gathered pieces of those I met. On the move, I collected beautiful memories, embraced friends, was enthralled by many stories and lastly enamoured by vibrant pieces of art. The trail, the path, the pieces and the memories remain mine to keep but the books, the authors and the artist need to be mentioned here, for they truly deserve to be appreciated aloud. 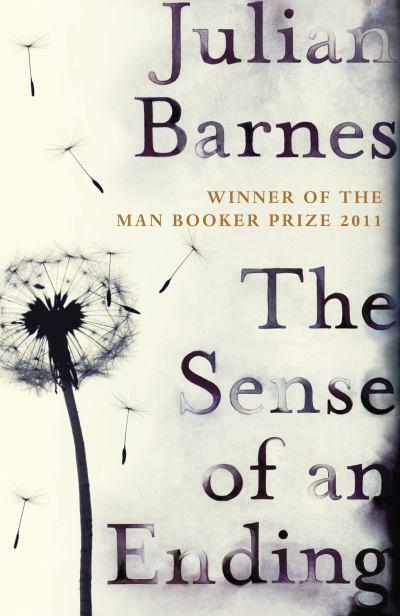 The fi rst book recommendation is The Sense Of an Ending By Julian Barnes. The multi awarded book is a first person narration of retired, Tony Webster, who’s living alone and relying on limited memory of his childhood friends and events to tell his story. ‘Memory, though, is imperfect’, he acknowledges as past throws him surprises from his own recollections. The book is intricate, precise and layered. Though short, the book is revealing and elaborate in how we think, perceive and remember. Most intriguing is the protagonist’s idea of “peaceable” life. The Sense of an Ending has to be read at leisure, to be savoured, mulled over and digested. I loved the book and its accompanying baggage of insights, nuances and realisations. It’s impeccable! 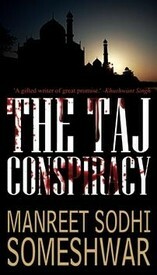 My book pick from the Indian Subcontinent is, The Taj Conspiracy by Manreet Sodhi Someshwar. 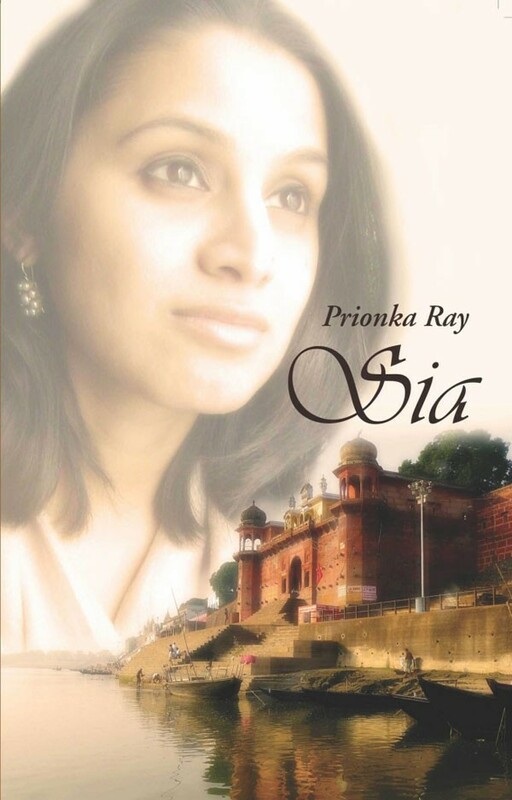 This book is a crime fiction that introduces you to the exotic female lead, Mehrunnisa Khosa; then tantalises your historic appetite with myths and facts about The Taj Mahal, and finally impresses you with the author’s researching skills that informs throughout the book and yet does not overwhelm. Politics, history, art and a smooth flow of words…..what’s there not to like? Three pages in to the book and I had forgotten that I know the author. If this is not a convincing storytelling, I don’t know what is. Saying anything else would be revealing the story, which is best enjoyed with anticipation as each clue is revealed. If you liked The Da Vinci Code, you will enjoy this one. Whether you enjoy murder mystery or not, one thing is for sure, The Taj Conspiracy will certainly change the way you look at the famed Taj Mahal, so give it a try. 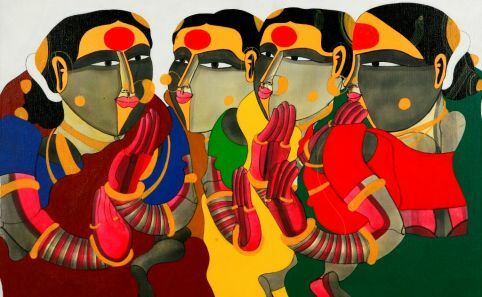 Satiated with two great stories, when I was just about to curl up in to a ‘sensation- hibernation’ mode, an Indian painter splashed bright colours on his canvas, dotted his elaborately dressed, voluptuous figures with huge bindis and reinvigorated my sense of wonder. I came face to face with the distinct style of Thota Vaikuntam, who has been known to find his inspiration in the women of Telangana. I admit to having seen many of his paintings in the last few years but sighting another one of his masterpieces unexpectedly, left me feeling giddy as I enjoyed the sudden indulgence. To my epicurean soul’s delight, the colour, depth and brilliance of his work seemed as compelling as ever and I continued to remain smitten. As always, the colours of his canvas splattered generously on me, leaving me enriched.